Regal, refined and glamorous; amplify your relacing experience with the Kingsley Wide Reclaimed Teak Rustic Coffee Table. This coffee table is part of our Kingsley range which brings a mix of French Country and Old Hollywood together in one unique and charming look. 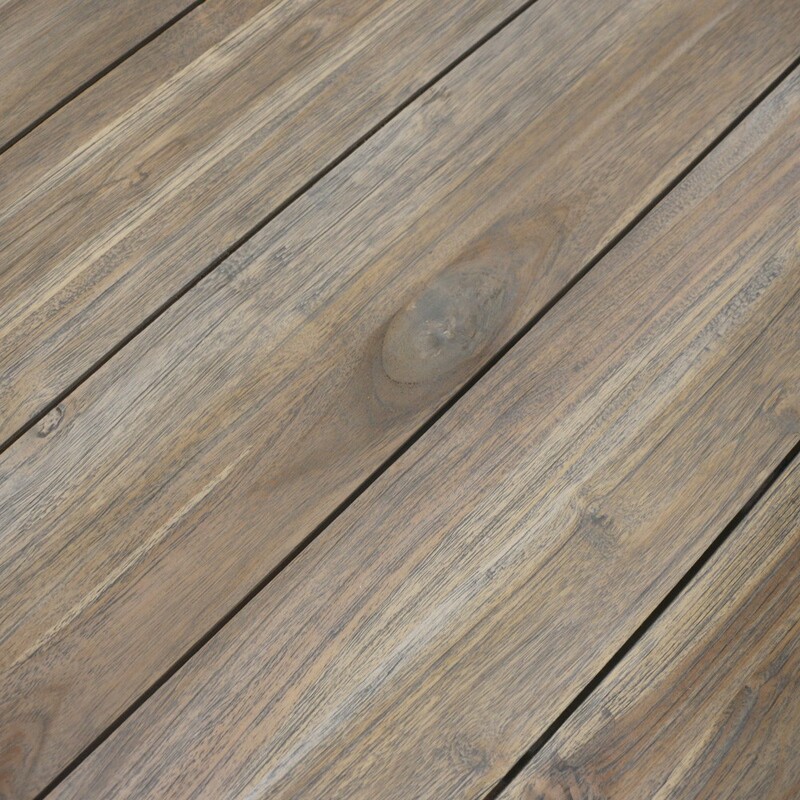 Enjoy the refectory detailing on the legs and beautiful hue on the Reclaimed Teak. W32" x L56" x H17"
Place the Kingsley Wide Reclaimed Teak Rustic Coffee Table in your garden surrounded by flora and fauna, and some of our inviting All Weather Wicker furniture. Ever chic and always inviting. Reclaimed Teak has been repurposed from other furniture, and buildings, the look is rustic and characterful – it is the ultimate material to add depth to your outdoor living room. 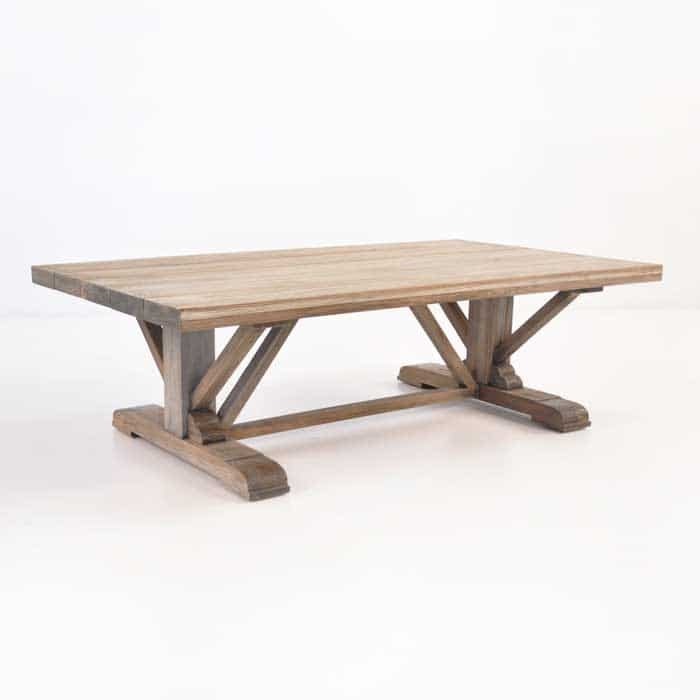 The Kingsley Wide Reclaimed Teak Rustic Coffee Table is also suitable for indoors – with its elegant design, it will fit in beautifully in your living area while adding a beautiful centerpiece. Adorn with treasured books and flowers for a finished look. Call us today at 800.343.7707. We look forward to assiting you so that you can find the perfect furniture combination for your home.